Did you know that most infectious diseases are caused by pathogens transferred between animals and humans? At least 75% of emerging and re-emerging diseases are either zoonotic or vector-borne. What’s more, animal health can directly affect food security and economic stability. The One Health approach to disease control recognizes that human, animal and environmental health are connected. As a collaborative effort, One Health brings together multiple disciplines and sectors locally, nationally and globally to prevent, detect and respond to emerging and re-emerging infectious diseases. We’ve seen how infectious disease epidemics pose a health security threat not only at the local level but also globally. Severe acute respiratory syndrome (SARS), avian influenza H5N1, Ebola and Zika are examples of pathogens that caused major outbreaks that had tremendous impacts on human, animal and economic health across the globe. Future threats are likely to arise as the global population continues to grow, the demand for food becomes greater and microbes become increasingly resistant to treatments such as antibiotics. Though One Health isn’t a new concept, it is now more critical than ever before. A key component to the Global Health Security Agenda (GHSA) is strengthening One Health capacity to prevent, detect and respond to zoonotic diseases before they become a human public health risk. To do this, there must be a concerted global effort to work across multiple disciplines and through different sectors of government. One way this will be accomplished is through the GHSA Zoonotic Disease Action Package, one of 11 Action Packages aimed at achieving GHSA objectives and targets. The GHSA Zoonotic Disease Action Package specifically focuses on actions to minimize the transmission of zoonotic diseases from animals into human populations. Governmental support for One Health objectives is expected to enhance countries’ ability to meet international health standards and improve the quality of human and animal health systems. For example, the World Health Organization (WHO) International Health Regulations (IHR) and the World Organization for Animal Health (OIE) Performance of Veterinary Services pathway develop government standards aimed at protecting human and animal health respectively. Their work strengthens reporting and communication between human and animal health sectors during zoonotic disease events, and improves the compatibility of existing animal and human diagnostics and surveillance systems. As a collaborator in the GHSA, APHL is providing country support to strengthen laboratory systems by reviewing current capabilities, employing high quality laboratory processes and developing systems that foster communication and appropriate integration between laboratory and epidemiology functions. APHL staff are working in Uganda, Vietnam and Tanzania to incorporate One Health strategies into their National Laboratory Strategic Plans, and is making plans to support review of Tanzania’s National Laboratory Policy Review and development of its operational plan as well as development of Kenya’s operational plan and Indonesia’s National Strategic Plan development. APHL has also provided country support for laboratory antimicrobial resistance (AMR) assessments to determine current capacity for reliably detecting AMR. 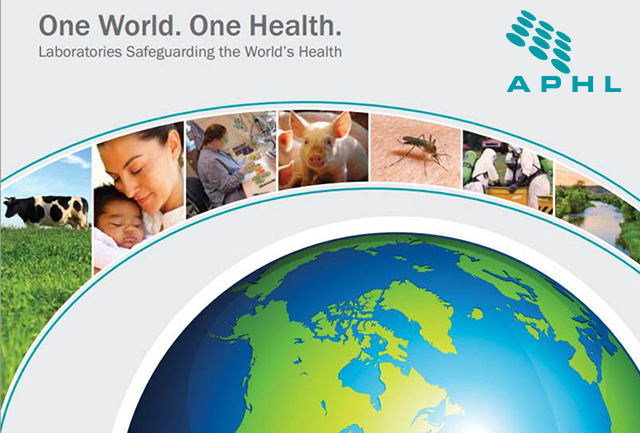 As APHL expands its GHSA work to other countries, the Association will continue to work across human and animal public health systems to deliver a One Health approach that strengthens national laboratory systems.